The holidays really are the most wonderful time of the year. From Black Friday through New Year’s Day, folks love to catch up with family and friends up over food and drinks. That means your restaurant has a great opportunity to help make the season brighter for customers. There are many fun and festive ways to bring people to your restaurant throughout late-November and December. Here are five holiday restaurant promotions and ideas to try in 2018. Whether you serve the finest cuisine or famous finger foods, adding some holiday-themed dishes is an easy way to get everyone in the spirit. Think of entrees and appetizers that are hearty or at least have a traditional holiday flavor. For example, you could include dinner specials featuring spiced-glazed ham, herb-roasted chicken or a cornbread casserole. Think about a few dessert and drink ideas as well. Delicious cream pies, cakes and Christmas cookies can satisfy any patron’s seasonal sweet tooth. Jazz up your beverage list by offering some holiday-inspired beers and cocktails. Ginger beers and Moscow mules are common this time of year, and sweeter beverages like hot buttered rum, mulled wine and spiked eggnog are always popular. Don’t forget to include some non-alcoholic alternatives like peppermint hot chocolate and apple cider. 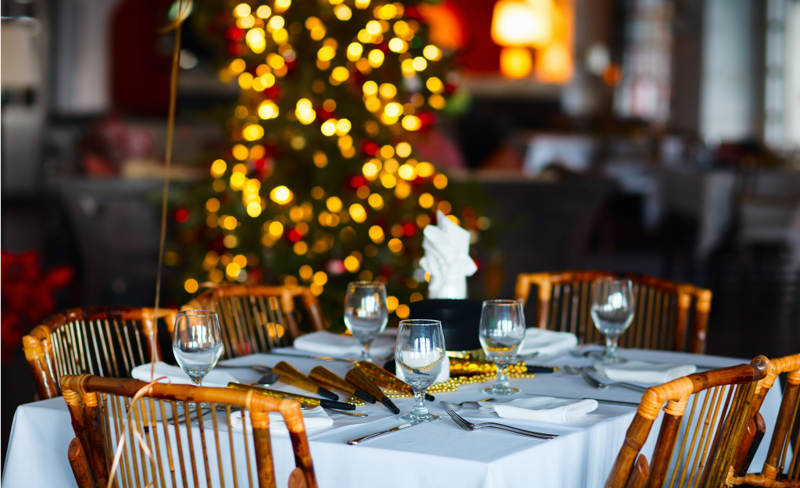 Come up with a couple of holiday events that can draw people to your restaurant. Ugly sweater parties are a fun fad you easily can get in on. Pick a day before Christmas where you give out a coupon to people who wear an ugly holiday sweater. You also could throw a sweater party complete with a DJ and fun prizes for those who don the “ugliest” getup. Trivia nights are fun year round. Add a little festive flair by holding a holiday trivia competition. Quiz patrons on everything from Christmas movies to characters. Whatever event you plan on hosting throughout the season, make sure to hang posters and promote it on your social media channels (we’ll get to specific tips in a little bit). Social media can be your biggest friend this time of year. 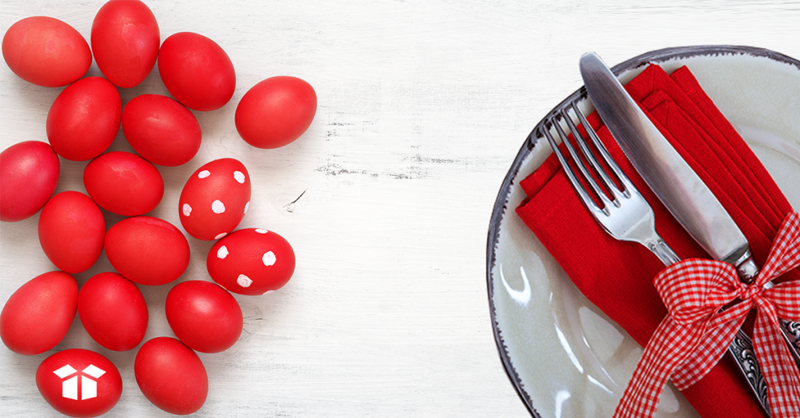 Use your restaurant’s social channels to let everyone know about upcoming events and specials throughout the season. Post everything from pictures of seasonal food specials and fancy décor to videos of your staff dressed up in Santa hats or singing holiday songs. Posting promo codes on social media is a great way to give back during the season. For instance, you could post a promo code for a free appetizer or a QR code to get 15-20 percent off their next visit. Have your servers encourage customers to follow your restaurant on social media to get the latest holiday deals. This will give patrons incentive to follow with your social media channels going forward. 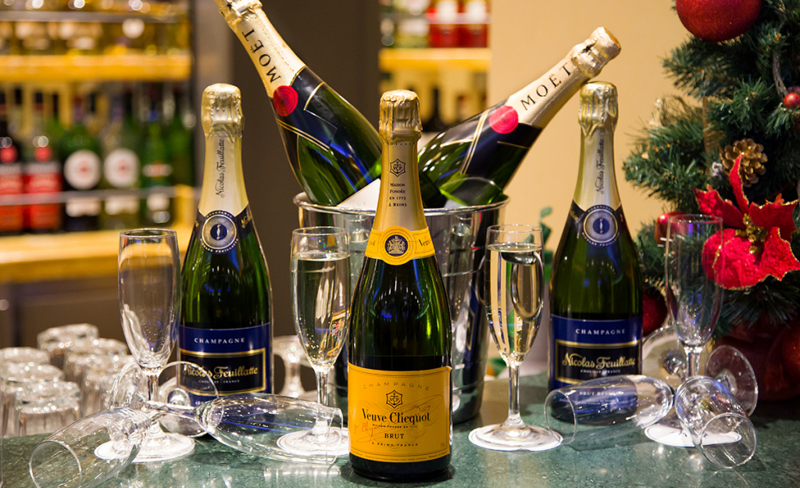 Whether it’s for work, family or friends, people love to throw a big a holiday party. Unfortunately, not everyone has the room to host. If your restaurant has space, offer it up as a venue to host private seasonal parties. Make the dining room available either for a flat usage fee or by purchasing a package. For example, one package could be a la cart while another might include a set list of drinks and appetizers. Make sure to emphasize reservations on any marketing materials, whether it’s signage or social media posts. This will save you and your staff from dealing with large, unexpected groups. Actually, we mean more than just the halls. Don’t be afraid to liven up your space with some holiday decorating. Consider stringing indoor lights and garland around bar tops, counters, pole and beams. Feel free to sprinkle in some statues or figurines of Santa, snowmen, gingerbread men or other character. Of course, a tree is essential. If you have a large restaurant, make the tree the centerpiece of your floor design. If not, a small one in the corner or lobby will do. Whatever décor you use also should depends on the atmosphere of your place. For instance, if you have a more modern-themed establishment, consider contemporary décor featuring white, silver and blue colors. However, if you’re place is rustic or traditional, stick with the standard red, green and gold colors. If your commercial kitchen equipment is being a “Scrooge” this holiday season, Parts Town has the most in-stock parts on the planet to get your unit back up and running.